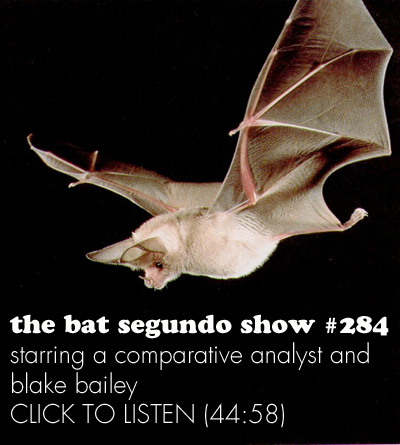 Blake Bailey appeared on The Bat Segundo Show #284. Blake Bailey is most recently the author of Cheever and the editor of the two-volume John Cheever set recently issued by Library of America. Subjects Discussed: Eponymous titles, Cheever as a brand name, whether literary biographies are needed, contending with Updike’s review, the hard things that Cheever said about Updike, the literary biography as a history of the 20th century, interview subjects who use pseudonyms, telephone prank calls, writing a biography while considering the Cheever family, establishing total independence, corralling incidents in Cheever’s journal with real-life incidents, whether or not Cheever’s accounts could even be trusted, explicit connections between the stories and Cheever’s life, similarities between Richard Yates and John Cheever, shyness and courtliness, living in squalor, Cheever’s phony aristocratic voice, getting naked, Robert Gottlieb’s late-career intervention, whether or not Cheever was washed up after Falconer, financial unease, Dwight MacDonald’s “By Cozzens Possessed,” the power of literary critics in the 1960s, narcissism, status and quids pro quo, Cheever pushing the envelope in his fiction, Cheever’s strange obsession with television commercials, Cheever and postmodernism, Donald Barthelmie, and Cheever and postmodernism. Correspondent: John Updike. He wrote a piece called “On Literary Biography” — I’m pretty sure you’re familiar with it — in which he asked whether we needed literary biographies at all. He concluded that “[t]he vocabularies of psychoanalysis and of literary analysis become increasingly entwined; though we must not forget that these invalids receive our attention because of the truth and poetry and entertainment to be found in their creations.” Now, of course, in the last piece he wrote for the New Yorker, after his death, he reviewed your book. And he wrote that “all this biographer’s zeal makes a heavy, dispiriting read,” where he wanted your narrative “pursued in methodical chapters that tick past year after year, to hurry through the menacing miasma of a life which, for all the sparkle of its creative moments, brought so little happiness to its possessor and to those around him.” So I put forth to you, Mr. Bigshot Literary Biographer, why do we need literary biographies? Are you perhaps more of a literary historian? Because there is a considerable amount of detail in this. Would you call your book more of a history? Is it really gossip-peddling? What’s the deal here? Defend yourself from Mr. Updike’s charges! Bailey: That’s a pretty involved question, Ed. Can I take it one at a time? You mention Updike first of all. And I’m sure that Updike would be tempted to do without literary biography. Particularly a literary biography of himself. And I think that that was somewhere in his agenda when he reviewed my book. Which he was kind enough to call and which will be used as a pull quote in one of the advertisements “a triumph of thorough research and unblinkered appraisal.” Now I would venture to suggest a couple of things. First of all, that Updike was a dying man when he reviewed my book. And it was very depressing to read — and not the first time that Updike has been exposed to this — to read about some of the many hard, hard things that Cheever had to say about him in private. Because as Updike has noted on many occasions, Cheever was always witty and debonair and charming in person. And really tirelessly promoted Updike’s career. He seconded his nomination in the National Institute of Arts and Letters. He was the primary nominator of Updike to the Academy of Arts and Letters. And so on. And blurbed hiim, and congratulated him. On and on and on. In private, in his journals, Cheever was, to put it charitably, very ambivalent on the subject of Updike. And so that can’t be very pleasant to read. And also the chapters dealing with Cheever’s own death from cancer must have been grindingly lugubrious for Updike to read. I would also — and this is a very self-serving theory, but not without merit, I think. I have now written a very thorough biography of Richard Yates. I have now written a very thorough biography of John Cheever. The three great chroniclers of the American postwar middle-class are generally perceived to be Richard Yates, John Cheever, and John Updike. I have been named on more than a few occasions as a prospective biographer of John Updike. 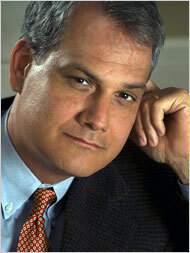 He is vary chary of biographers. And I think that he did not like the prospect of my bringing my thorough research and unblinkered appraisal to bear on an account of his own life. So this was a very shrewd way of steering me off at the pass. Because I could hardly seem disinterested after a biting review of my book. One of the very few biting reviews I have received, I might add. Correspondent: I’ll jump back to that point momentarily. But going back to the idea. Correspondent: Why do we need literary biographies? Bailey: Well, I mean, I think that that’s a silly rumination on Updike’s part. Unless he’s — I would have to see the entire context. Is he calling it a question of validity of biographies in general? Because I think biographies are one of the most fascinating genres. Certainly I am more attracted to exploring the universe of a single individual and can imply so much thereby. I think that, and indeed, it’s been noted that my biographer of Cheever has also something of a history of the 20th century of literary life in America. So, well, of course we need literary biographies. Who’s more interesting than Cheever? I mean, he had the most exhaustively documented inner life of any major American writer. A 4,300 page single-spaced typed journal, which one can constantly counterpoint with his rather absurd and certainly disparate public personae. So I think literary biography is fascinating. And I think well-done literary biography is doubly fascinating. Correspondent: But would you say that this history of the 20th century would be your way of essentially deflating or countering the Updike charge that really it should be just about the writer’s work? Bailey: In her review of the Jean Stafford biography. That is any biography which places an unseemly emphasis on the subject’s tortured inner life. I think if you tell the whole truth about your subject that everything will work out. You just show the man in the round. And ultimately, you will deplore certain aspects of him or her. And you will sympathize with certain aspects. I was confronted with some pretty nasty stuff about Cheever. But in the end, I the biographer felt compassion for him. ← Previous Post May Podcast Madness!